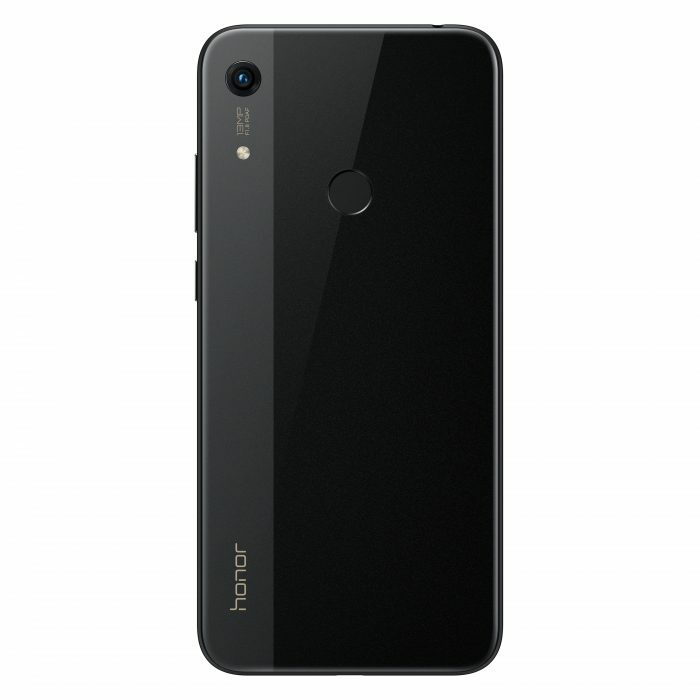 Arriving on the Honor website very soon is this, the Honor 8A. It’s billed as “an affordable smartphone with superior sound quality and a 6.09″ Dewdrop FullView Display”. First let’s look at the “superior sound quality” claim. This is because the speakers are actually combined with a dual-suspension structure, giving a big sound cavity for “uniform acoustics”. It basically means that you’re getting 30% more volume and a built-in high power SmartPA amplifier. Next, that screen. It’s a 6.09″ 1560 x 720 HD+ display with 283ppi. Whilst the ppi could be higher, it does have TÜV Rheinland eye comfort and a tiny dewdrop notch which measures just 3.2mm. Within that notch is a the front 8 megapixel camera, a light sensor and a proximity sensor. You get an 87% screen-to-body ratio here, plus there’s FM radio and the phone will unlock by recognising your face. Huawei / Honor have chosen a MediaTek CPU on this one – something they did on the Honor 7S. On the 8A it’s a little more powerful though – an MT6765 octa-core unit (4×2.3 GHz + 4×1.8 GHz). The phone will be available in a 32GB storage and 2GB RAM version or a 64GB storage and 3GB RAM model. Around back is a 13 megapixel f/1.8 camera with bokeh capabilities and this is all powered by a 3020 mAh battery. It also has triple card slots, so you can put two SIM cards in and a microSD card too. The Honor 8A also comes with the EMUI 9.0 GUI and it runs Android 9 (Pie). All that for a recommended retail price of £139.99. It will be available for purchase at Amazon and Carphone Warehouse from today. It’s not on the Honor UK website as yet but do keep a look-out. Other specs include a 3.5mm audio port, a microUSB charging port, Bluetooth 4.2 and 4G. It does single-band WiFi but does not have NFC – so no contactless payments on this one. You can get it in black, blue, gold and – in some markets – red too. There’s fingerprint sensor on the rear. 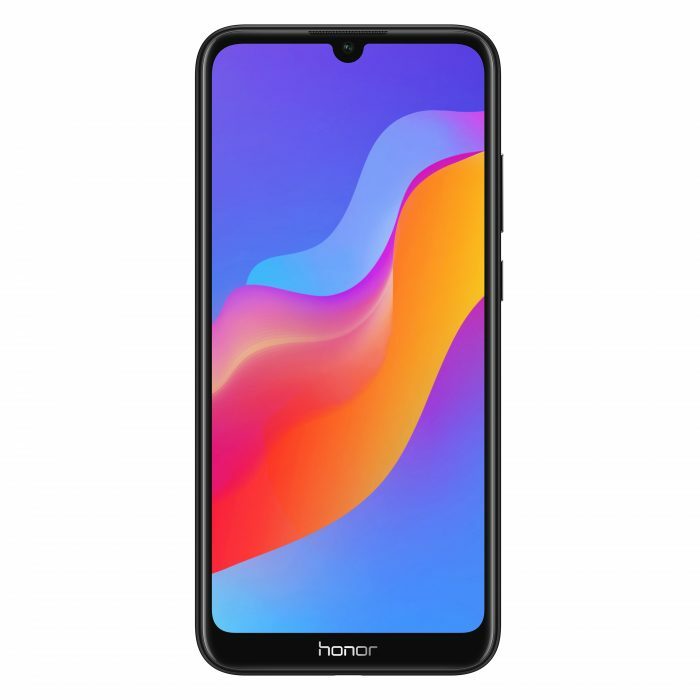 Personally I’d also look at the Honor 9 Lite, which is down to £129.99 right now. That gets you NFC and costs a bit less. Amazon and Argos etc are good places to look. The post Honor 8A announced. Octa-core CPU, 6″ HD+ screen – only £139.99 is original content from Coolsmartphone. If you see it on another news website, please let us know.